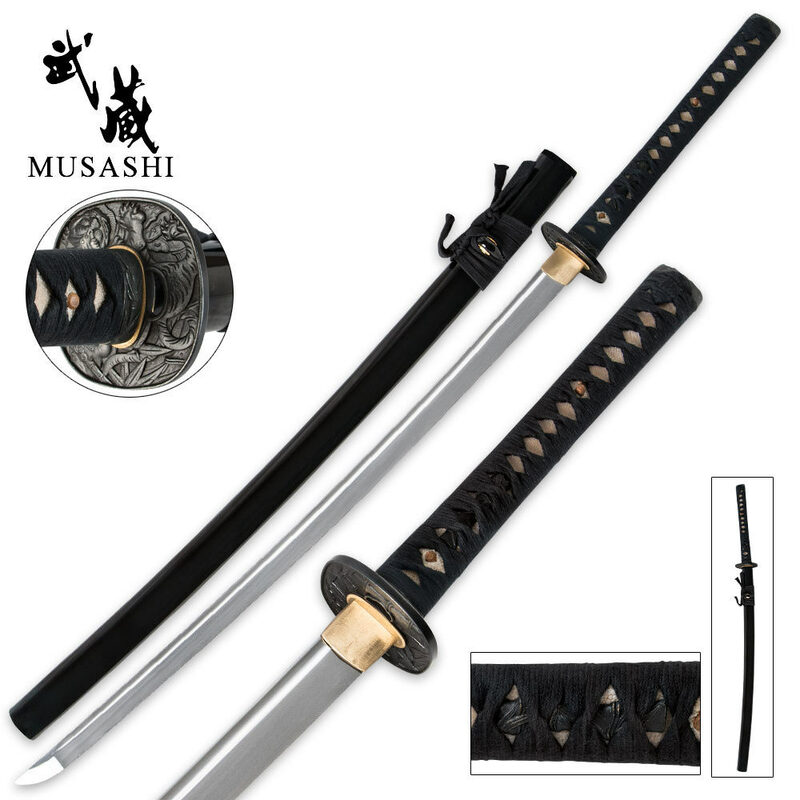 Bamboo Artwork Musashi Carbon Steel Katana Sword | BUDK.com - Knives & Swords At The Lowest Prices! The Bamboo Artwork Musashi Sword is one sharp sword! 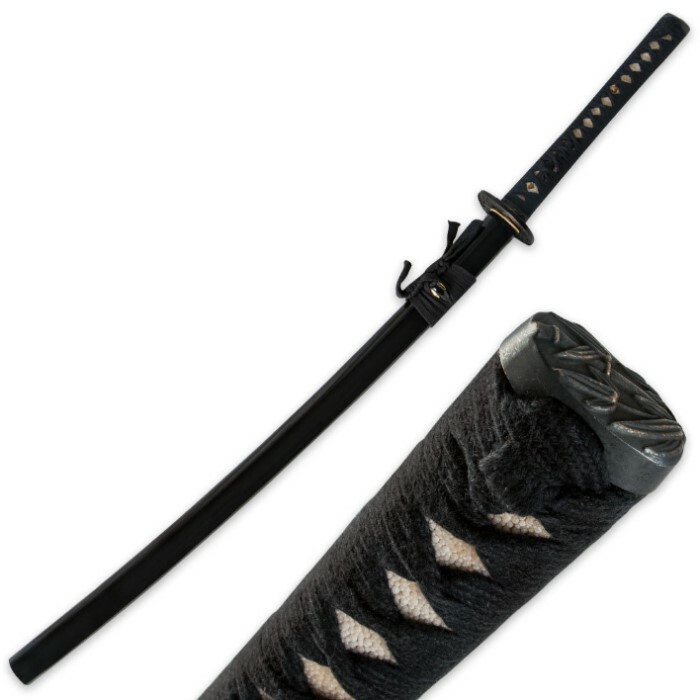 This sword features a handmade, full-tang, 1060 high carbon steel blade that has been clay tempered and honed to a razor sharp edge. The handle is constructed of hardwood and offers ray skin with tight cotton cord wrappings. The extra thick steel tsuba features a highly detailed design of bamboo shoots and leaves that complements the hardwood scabbard with high quality piano paint finish and steel fittings. Includes black cotton sword bag. Add this sword to your collection today!